As many of you know, for the last five years I have been working with on a documentary about the politics and history of Trench Town in Kingston, Jamaica. This rather small and poor community has had a major impact on the entire country that extends well beyond the music for which it is famous. This documentary began unexpectedly when Dixon Myers invited me to go to go down there with him. I didn’t quite realize what he was getting me into, but I found it impossible to stop once I started. We have been helped by Chris Stone, a Jamaican architect whose research and knowledge have been invaluable. The work of Chris, Dixon, and a handful of others, both in the US and Kingston, have made this documentary possible. The years they have all spent in Trench Town and the friendships and trust they share with the people there are what opened the doors for me to gather this unique collection of firsthand accounts of the important and troubled history of the place. This is what makes this documentary unique. We have had access that others have not. I am sure there isn’t any other material like this. We are working to help the people of Trench Town tell their own stories. In January we held our first test screening. We did this in Trench Town for about 200 of the people who are the subject of the film. It was one of the most raucous events of which I have ever been a part and we were encouraged by the responses of the people for whom the film matters most. We are approaching the final stages of completing the feature-length documentary. There is still more footage to include and edit, transcriptions and subtitles to complete, and other post-production tasks. After this we will be working on promotions and distribution. August marks the 50th anniversary of Jamaica’s independence. Our goal is to launch the film in Kingston during the celebrations. We are making arrangements to do this now. It is important that the people of Trench Town are involved in the conversations about the past and future of the country that will happen at this significant point in Jamaica’s history. We can help ensure that happens. Time is short, and there is much to do, so I have organized a fundraising campaign to help get this done. We are working with USA Projects, a non-profit, 501(c)3 organization. This is a time-limited campaign that requires a minimum level of funding be pledged in order to move forward. Supporters receive gifts for various levels of funding. For $25.00 you can support the project and get an early special release of the documentary on DVD. Pradip Malde has generously offered a photograph he has taken in Trench Town, and the book he, Chris, and Dixon have been developing, Turning the Wall- a Trench Town Journey, are also available for larger contributions. All donations are tax-deductible for US residents. The website lists the minimum funding goal, but we could benefit need much more in order to see this film professionally finished in time for August and pursue promotions and distribution. To this point the documentary has largely been made with some funding from the University of the South and through the volunteer efforts of some generous friends. 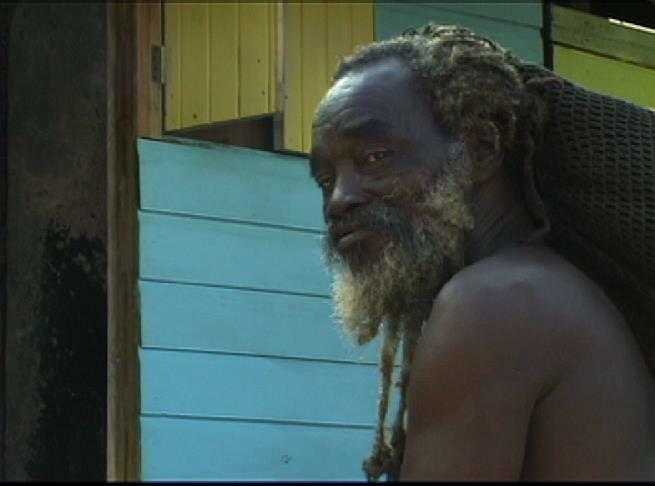 The eventual goal is to send proceeds from the finished film back into the community to help the people of Trench Town. Feel free to ask me questions about the documentary or any part of the process. Please share this with anyone you think might be interested and able to support the documentary.